Procter & Gamble's Olay did not have a great performance in the widely cited USA Today Ad Meter. But CMO Marc Pritchard is talking up how the brand scored during the Super Bowl in other ways. Find out more below, along with how Dove is making its latest female empowerment play. But first, details on what a home shopping network is doing to update its image. Home shopping network QVC is giving itself a makeover. The West Chester, Pennsylvania-based brand has updated its logo with a square and unveiled a new app, "Q Anytime," that delivers shoppable videos in five-to-eight-minute segments. Mary Campbell, chief merchandising officer for parent Qurate Retail Group says that 80 percent of QVC's new customers come to the company through digital platforms. QVC's in-house team worked with Moxie initially, and the project was then executed internally. Olay's #KillerSkin Super Bowl spot may not have won popularity contests–ranking 30th in USA Today's Ad Meter for example–but it did far better on digital amplification. Olay won Merkle's "Digital Bowl" because it "never stopped engaging on social, updating Instagram stories, reposting user-generated content, and leveraging influencers until the final whistle," according to the agency. The brand finished top three among advertisers by creating a Super Bowl-focused landing page and optimized YouTube video visible for campaign-related queries," according to Merkle. The brand also generated the fifth most social-media likes among Bowl advertisers with nearly 288,000, according to Engagement Labs, though the NFL won handily on that front with 1.1 million likes worth an estimated $3.1 million in earned media. Saatchi & Saatchi created Olay's ads, with Small Girls PR handling PR. Procter & Gamble Co. Chief Brand Officer Marc Pritchard says in an interview that Olay's effort, including two videos before and one after the game, have driven 17 million views to date, 4 billion impressions. Sessions on the Olay Skin Advisor app doubled during the game "and sales grew very high double digits online at least." Unilever's Dove has enlisted seven-time platinum recording artist Kelly Rowland to write and produce original song "Crown" to help "break down the narrow definition of beautiful hair and encourage girls to feel confident in wearing it how they choose," the brand says. The song draws on real-life stories of young girls who've faced bullying or discrimination over their hair and who star in the video. A recent Dove study found half of girls say their hair makes them feel self-conscious. WPP's Ogilvy, Paris, is agency behind the work. One sure sign natural feminine products are big: The established players are buying in fast. Procter & Gamble Co. announced Tuesday it has agreed to buy This is L for an estimated $100 million. This follows the prior-week announcement that Combe, marketer of Vagisil and Just for Men, has made a "strategic investment" in Sustain Natural, marketer of "earth-friendly" tampons, condoms, and lubricants. Sustain was co-founded by Meika Hollender and her father Jeffrey, who previously founded Seventh Generation, another player in natural feminine-care products now owned by Unilever. Menswear brand Mizzen + Main is hoping to bring awareness to an-oft ignored affliction—textile dysfunction, or the inability to maintain lasting performance in clothing due to circumstances such as sweat. The seven-year-old company developed its new TD-focused campaign through an in-house team helmed by creative director Richard Ross. In one spot, a man laments, "Going to the dry cleaners wasn't enjoyable for me… or my wife," before explaining that he now washes his Mizzen + Main shirts at home. We get it. 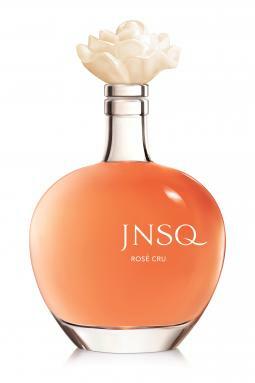 JNSQ Rosé Cru and Sauvignon Blanc come in curvy bottles reminiscent of oversized perfume bottles. While the $29 wine's name plays on the French phrase "je ne sais quoi," the grapes come from California's Central Coast region. It comes from The Wonderful Company, which also owns Pom Wonderful, Wonderful Pistachios, Fiji water and Justin wines. The company says JNSQ is aimed at millennial women. $1.9 billion: What the average National Basketball Association team is worth, up 13 percent over last year, according to Forbes' new report on team values. The New York Knicks are No. 1, at $4 billion, which does nothing to soothe fans of the long-struggling franchise. Growing scooter brand Lime is gaining more flexibility with the appointment of its first chief marketing officer. The San Francisco-based brand named Duke Stump, who most recently served as executive VP of brand and community at Lululemon. At the Canadian sportswear brand, Stump was responsible for large campaigns including "This is Yoga." Sallie Mae has tapped banking vet Donna Vieira as executive VP and chief marketing officer. Vieira most recently spent five years as CMO of consumer banking and wealth management at JPMorgan Chase. Networking software company Gigamon has a new chief marketing officer in Karl Van den Bergh. He most recently was CMO at DataStax, a data management company. CORRECTIONS: The chief merchandising officer at Qurate Retail Group is Mary Campbell. Her name was misstated in an earlier version of this article. Also, Sustain was co-founded by Meika Hollender and her father Jeffrey. He was incorrectly described as her husband in a previous version of this story.